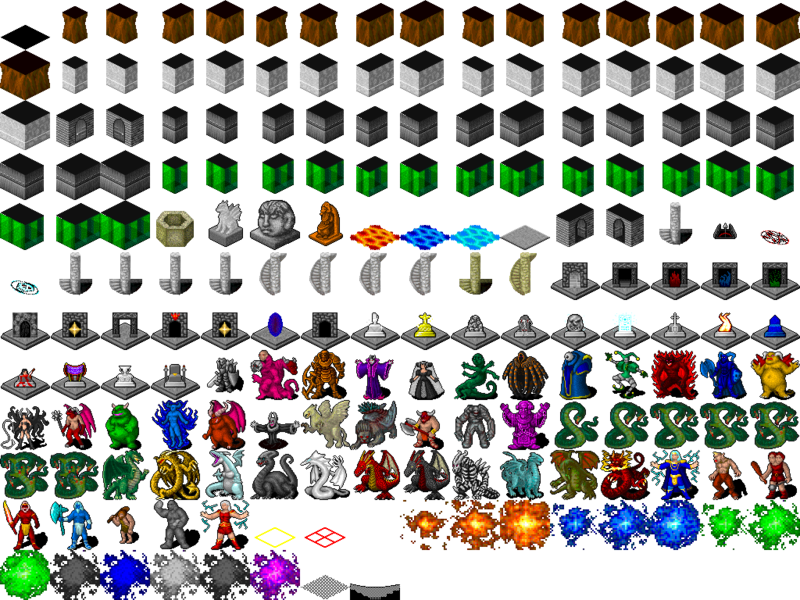 Here are the tiles used in the game Dungeon Crawl X11. All images are 2D 64x64 pixel tiles in isometric perspective. If you need additional items, monsters, and decorations, tiles from http://opengameart.org/content/dungeon-crawl-32x32-tiles work pretty well with this set. Please include the following text in your distribution package, either as a separate file or incorpolated into your license notice document. The fourth line is optional: Delete it if you have not modified the tiles. If you have modified some of the tiles, replace "YOURNAME" by your name: "Part of (or All) the graphic tiles used in this program is the public domain roguelike tileset 'RLTiles'. Some of the tiles have been modified by YOURNAME. You can find the original tileset at: http://rltiles.sf.net"
Dammit! I knew tags were comma delimited and still treated them as space delimited! Hey, question: aren't these tiles technically public domain? 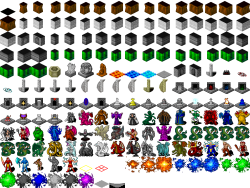 public domain roguelike tileset "RLTiles". "aren't these tiles technically public domain?" I wish they were. The line about being public domain is probably intended as a more general term like "Creative Commons" is; There are lots of different forms of Creative Commons. Not really sure. How much element. Thank you for sharing.